With President Obama focusing in on the healthcare industry, it doesn’t take a rocket scientist to see that companies like TabletKiosk, TegaTech, Panasonic, and Motion Computing have the right product at the right time. TabletKiosk’s own MediSlate MCA i1040XT Tablet PC underwent a very thorough review, and the folks at DigitalReviews came away quite impressed. 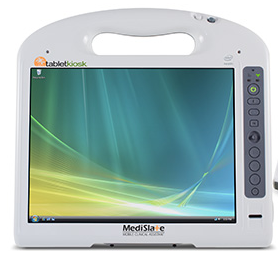 Checkout why DigitalReviews is encouraging healthcare institutions to contact TegaTech and TabletKiosk to learn more.